RALEIGH, N.C. (AP) — Nearly 300 years after the pirate Blackbeard’s flagship sank off the North Carolina coast, a shipwreck-hunting company and the state are battling over treasure linked to the vessel — but they’re fighting with legal filings, not cutlasses, and the treasure is $14 million in disputed revenue and contract violations. 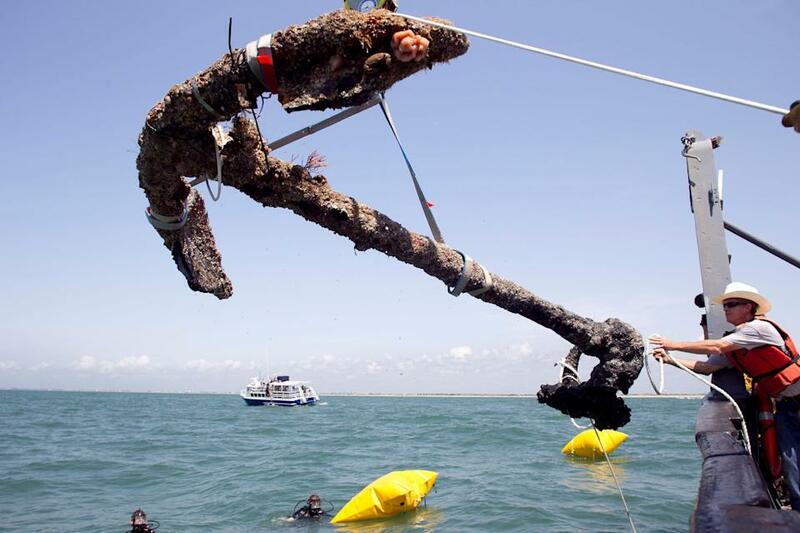 The Florida-based company, Intersal Inc., found little loot when it discovered the Queen Anne’s Revenge almost 20 years ago, but it eventually gained a contract for rights to photos and videos of the wreck and of the recovery, study and preservation of its historic artifacts. The state, meanwhile, has created a tourist industry around Blackbeard and his ship since the vessel’s discovery in 1996. That includes exhibits at the North Carolina Maritime Museum in Beaufort, which attracts about 300,000 visitors a year, according to the Queen Anne’s Revenge website. The artifacts, such as a 2,000-pound cannon, also go on tour to other state museums. The state also posts photos and videos on websites and social media sites. Intersal says the state is violating the contract by displaying media of artifacts from the ship on websites other than its own without a time code stamp or watermark. In its petition in the state Office of Administrative Hearings, the company seeks $7 million for the alleged misuse and $7 million in lost revenue from the state Department of Cultural Resources. A spokeswoman for the state agency declined to comment. In its response to the petition, the state denies Intersal’s allegations. A spokeswoman for the state attorney general said Tuesday the state plans to file a motion to dismiss the petition on jurisdictional grounds. When Blackbeard captured the vessel in the fall of 1717 in the Caribbean, it was French slave ship called La Concorde. Blackbeard renamed it the Queen Anne’s Revenge and made it his flagship. Blackbeard, an Englishman whose real name may have been Edward Teach or Thatch, held onto the ship for only a few months. He was sailing north from Charleston when it went aground in May 1718 in what’s now called Beaufort Inlet. The pirates likely had time to haul away most of the valuables, nautical archaeologists have said. Five months later, members of the Royal Navy of Virginia killed Blackbeard at Ocracoke Inlet. This marks the second time in two years that the state and Intersal have been at loggerheads. They reached a 15-year agreement in 1998 but ended up in mediation in 2013 before signing another deal. Now Intersal and the state must return to mediation by June 29. “We believe this is an important case for the people of North Carolina for us to win because otherwise, it’s going to have a chilling effect on business in North Carolina,” Masters said. Masters said his father searched for Blackbeard’s ship for 20 years before finding it. While the state and a shipwreck company might typically split the proceeds of a shipwreck, a different deal was reach for Blackbeard’s vessel, which had little monetary treasure. Instead, the 1998 contract gave Intersal multiple media rights. Intersal accepted that agreement as part of an overall deal involving another shipwreck, the El Salvador, which sank in a 1750 hurricane. Treasure is thought to remain with that wreck, which likely is spread across the ocean floor, Masters said. The company’s petition includes complaints about the permit for searching for the El Salvador. Intersal contends its business has been harmed by the violations, “some of which harm may be irreparable,” says the petition, filed in April. . . . .